The following interview was previously published in Cork's Evening Echo. From the sleepy piano and gentle guitar strum to the dreamlike pedal steel that permeates through their new EP, Comma, Tandem Felix are one of those bands blessed with an ability to make everything they do sound effortless. Singer David Tapley’s hushed vocals on opening track ‘Nothing I Do Will Ever Be Good Enough’ typify this, the song almost singing itself. Yet his influences are not immediately obvious. Although alternative country has contributed significantly to both Tapley and Tandem Felix’s musical palette, the band continue to paint trippier compositions (such as Comma’s closer, ‘Mandarin’) more akin to previous releases, such as the Radiohead-esque space-sojourn ‘Ryan Hoguet’. Is it a case of having to choose a direction for the next release? Whatever the Lucan foursome are up to, it’s starting to garner attention with English publications NME and The Guardian (“new band of the week”) both lavishing praise on the quartet. 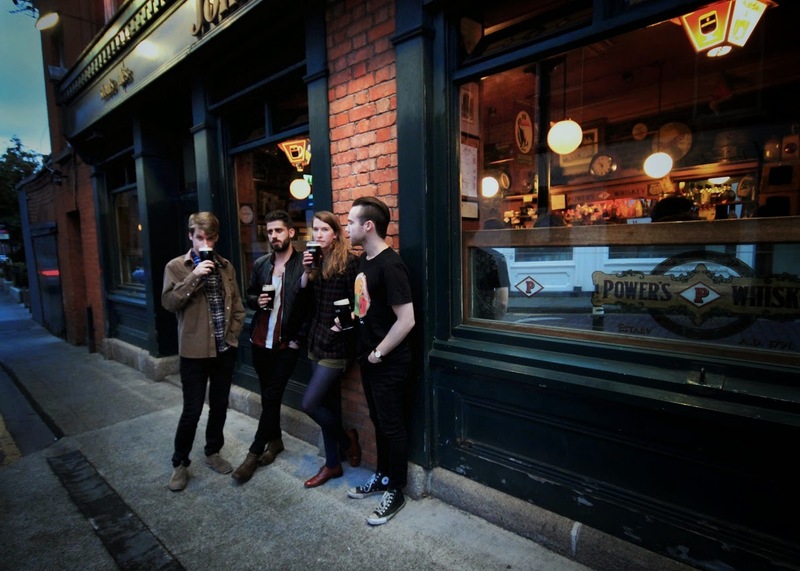 From the perspective of an outsider staring across the Irish Sea, there’s definitely something happening across the water, especially when it comes to Irish music with more alternative leanings. Dublin post-punk four Girl Band recently turned down legendary record label Sub Pop (Nirvana, Soundgarden) to sign a deal with U.K. counterparts Rough Trade Records; nu-trad supergroup The Gloaming continue to be the undisputed darlings of U.K. critics; and that Hozier fella seems to be doing enough to keep the landlord at bay. This surely must be a good thing for bands plying their trade here. Increasingly frustrated by Arsenal’s failure to “slot one in against Chelsea” on the hotel television, I try to steer the conversation towards calmer grounds, namely the band’s fond association with Trout Records, the Dublin-based independent label that continue to release Tandem Felix records. Following a recount of a disappointing encounter with former hero Jason McAteer at the Trinity Ball and the life-changing decision to eventually “pick Richard Manuel over Rick Danko”, David reveals the details of some surprising songwriting ventures that lie on the horizon for Tandem Felix in the second half of 2015.